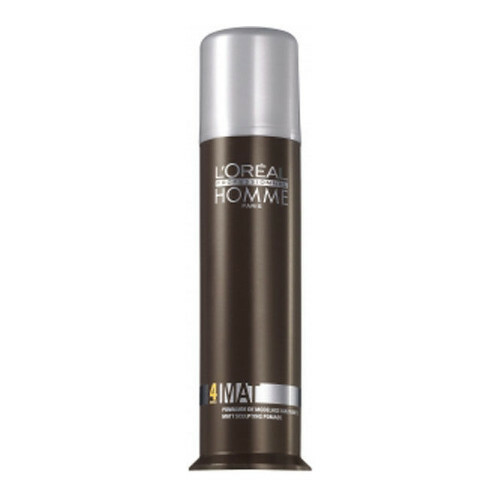 For sculpted style without the shine choose L'Oréal Professionnel Homme Mat – Matt Sculpting Pomade, the versatile styling product that creates a variety of looks with an unbeatable matt finish. Matt Sculpting Pomade is part of a range of professional styling products specifically designed to create unique, tailored looks for men, whatever your style is. Absolutely no residue and long lasting style from simple, effective styling products. Rub a small amount of product between the hands, then apply to wet or dry hair. Work through the hair or use to define sections.